Food, drink, conversations with other human beings — fundamental to what it means to be human. ​An initiative of the Christian Study Center of Gainesville. Seeking an experience with authentic coffees that deserve our full attention. Working with roasters committed to sourcing clean, quality coffees and to developing amiable relationships with coffee farmers around the world. Growing in knowledge of the coffee world, tweaking our brewing parameters, and experimenting with brewing methods so that we can provide our community with coffees that have been cultivated with the greatest care. Creating a space for conversations that allow for an encounter with Christ amid the complexities of human experience. Affirming scholarly inquiry, artistic expression, and a thoughtful way of being in the world. Doing all this out of love of Christ and neighbor. Why name a twenty-first century coffeehouse after a seventeenth-century mathematician, scientist, theologian, philosopher, psychologist, inventor, and public servant? Well, there you have at least seven reasons. Blaise Pascal affirmed numerous areas of inquiry that range across the arts and sciences, the professional colleges, and beyond. He worked on the cutting edge of seventeenth-century mathematics, dabbled in experimental science, daringly engaged the religious and theological powers of his day, called Descartes’ modern philosophical project into question, anticipated Freud in his musings as an amateur psychologist, invented a “mathematical machine” (calculator? computer? ), and also created Paris’ first public transportation system (giving the proceeds to the poor). We gladly identify with Pascal in affirming all these lines of inquiry and activity. Pascal also wrote as thought-provoking a book as the modern era has produced. Engaging in both style and substance, his Pensées (thoughts) consists of bits and pieces that range from a few words to a few pages. Though Enlightenment thinkers of the eighteenth century did not care for his questioning of modern rationalism, critics of the Enlightenment gradually brought Pascal back into the philosophical discourse of modernity, where he continues to listen and to speak. 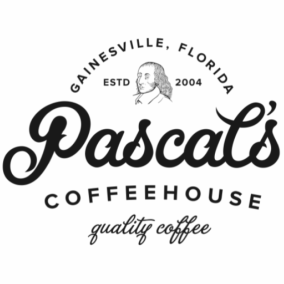 We welcome Pascal’s voice—together with all the voices that make this a rich and important human conversation—and we trust that Pascal’s Coffeehouse can be a place where the conversation continues and Pascal’s voice resonates within it.